Do you love computers? Are you a tech-savvy person? Or do you love creating new things on the computer? This post will tell you about the best career options for tech geeks like you and me. If you love computers, if you are passionate about it this post is for you. The computer is the present and computing is the future. If you like computers then there are many things you could do in life. In this article, we are going to talk about the various career paths that you can undertake if you love and are good at computers. We will talk about different ways in which you can utilize your computer skills in different ways to have a successful career. To be successful in the technical background, it is recommended that you should pursue graduation (B. Tech, B.E. or B.C.A). However, if you learn a particular skill that would also not stop you from getting a job and making a career. But a degree is still desirable to have. First up is App Developer. These days all the application and services are moving to the mobile platform. You would find the app for almost anything which you can do on your PC. So, it would be wise to say that mobile computing is also becoming popular day by day. In such a scenario becoming an app developer, be it for iOS or Android, is always a good idea. You could also earn some extra by creating your own projects. After that, you could work for big companies and work on interesting projects and earn a handsome amount of money. Another exciting field is to become a video game developer (For both PC & Mobile). The Gaming industry ($100 Billion) is very big and ever booming industry. You could create games for consoles, PCs and even mobiles. It is a great way to unleash your creativity and earn big money while at it. As the name suggests an IT Security specialist looks after the assets of the company. The job revolves around the server, network devices and looking for potential vulnerabilities and resolving them. You can also venture into Ethical Hacking and become a tester. And also these days with the advent of hacks or data breaches, these jobs are very much in demand and can earn you decent money. A computer system analyst makes sure to put out more efficient and more productive use of systems. The job is to bring a company’s business and IT together. It is a promising career and also something different in this field. A web developer builds the websites and web service. There are two parts of it, back-end developer (handles the API, server and other under the hood stuff) and front-end developer who deals with designing and functionality of the service. It is another field that will keep on expanding as these all companies and organizations need their own websites. And if the user interface is pleasant to use then it could usually prove to be beneficial for the company. It is an exciting career option. As the name suggests, a DA is responsible for maintaining the database as well as making the security a priority. Additionally, he also maintains the day to day projects. It is a very important job and these days data specialists are earning big amounts of money throughout the world. In an office environment, an office administrator keeps everything in order. Lots of peripheral devices are connected together and it is Network administrator’s job to foresee the smooth operations. There are certifications like CCNA which can be done after 12th and there is a high requirement for network people. The pay is also quite handsome. As the name suggests a graphic designer would work on designs. They would work on websites, products images, advertisements, and other multimedia solutions. You can do graduation in Design (B.Des) and go on to become a graphics designer. Alternatively, if you have good drawing skills and know how to use the relevant tools (Adobe Illustrator, Photoshop, ID) you could get a job as a graphics designer. If you know HTML and CSS it is cherry on top. A designer with knowledge of basic HTML/CSS can earn a lot more. User Interface and User experience are the most important part of any online service or application. A UI/UX designer will make sure that the designs are at it’s best and easy to understand for an average user. UI/UX is the very important part of the Web Development and App development. A game designer who creates the concept arts and creates the character. Games take a long time to produce and it is a complex process. A game designer is an integral part of the process. He would imagine and create the look and feel of the game. Both mobile and computer game developer companies hiring new talent every day and they also pay handsomely. An SEO specialist job is to do the search engine optimization and promote a page or website on Search engines. Getting it to the top position and driving the organic traffic. With the time SEO has emerged as a booming industry. There are many big million-dollar companies running which specializes in the SEO services. Other companies also hire an in-house SEO specialist to promote their work. There are many free resources to learn SEO. A data analyst will go through data and provides you with all the aspects of high and lows. Data analyst has become very mainstream ever since the inception of the internet. A promising career with steady growth. This term is closely related to SEO and digital marketing. Using the data from tracking tools and leveraging that into turning the most profit. There are free courses by Google, HubSpot, and other big names in web analytics. You can make a good career if you master this trait. A growth hacker’s job is to do the successful user acquisition and bringing lots of customers in a short span of time. Growth hackers are commonly hired by startup as they are in dire need of the user base. Growth hacking is done by the means of many marketing tactics. It is a booming industry which requires one to be innovative, creative and who can think outside of the box. 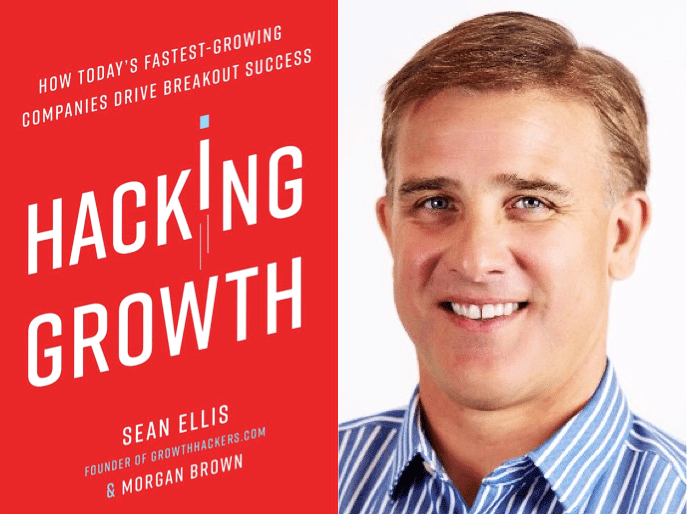 Big names in growth hacking industry charge in million just for consulting. So, a growth hacker is kind of a big deal. A tech support specialist helps with the customer service. Big companies like Microsoft, Apple, HP, and OEMs hire Tech support specialists. You can also do certifications like Microsoft Technical Certifications, Which promises a good career opportunity. A software quality tester ensures that the software is free of glitches and works as intended. This is a very important job as it requires attention to detail in order to spot the glitches and issues in any software, or webpage or app. It is a promising career in the software industry which doesn’t require coding skills. So, Here you have it. Some of the most interesting and promising careers to get into if you love computers and if you are a Tech geek. Till then cheers and keep exploring yourself with Braindpundits.